– Fully licensed by the UK Gambling Commission and the Malta Gaming Authority! – A fantastic collection of casino games! – An innovative and engaging casino theme! – Great casino bonus offers! – Safe and secure gaming and payment environment! Ikibu Casino was launched in September of 2016 under the flag of MT SecureTrade Limited. This is a themed based online casino which engage players on an adventurous journey through the fantasy island of Ikibu (read more about the theme below). Ikibu Casino have a fantastic design that hints an influence from the Japanese Manga comics which is a very fresh and cool take on an online casino concept. The games platform is well supported on all devices such as tablets, mobiles and desktops. The website is very easy to navigate and informative which makes it very user-friendly. The casino games at Ikibu Casino are great. All the top games producers are included. As a member of Ikibu Casino you will get access to more than 1,000 casino games from a rich and diverse collection of providers such as Aristocrat, BetDigital, ELK Studios, NetEnt, NextGen, Microgaming, Play n’GO, Thunderkick, WMS and SideCity to name a few. Players can enjoy the very best video slots, highest jackpot games, a large selection of table games and a live dealer casino provided by NetEnt. Ikibu Casino is available in several different languages including English (British, Australian and International), Finnish, Norwegian and Swedish. The customer support is available 24 hours a day, 7 days a week and you can contact them by e-mail or a live chat function that you can locate all over the website. Ikibu Casino also have an extensive FAQ page where you can find answers to most issues relating to your player account. Ikibu Casino is operated by the Malta based MT SecureTrade Limited group which are responsible for an impressive list of some of the most innovative online casinos available. They are fully licensed and regulated by the UK Gambling Commission and the Malta Gaming Authority. Ikibu Casino Welcome Bonus Package £/€200 + 5000 Seeds! 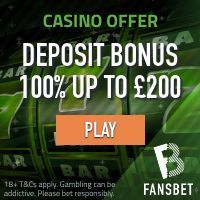 The minimum deposit that you need to make in order to qualify for the deposit bonuses is £/€10 (currency equivalent) and the bonus received and winnings derived from it are subject to a 45 times wagering requirement. If you reside in the United Kingdom than please note that deposits made using Moneybookers Skrill or Neteller does NOT qualify for any welcome bonuses or reload bonuses. Ikibu Casino: The Journey (Casino Theme)! Ikibu Casino is based on a very exciting adventure theme set on the volcanic island of Ikibu. As a player you will be engaged in your journey on this island. The island of Ikibu is inhabited by several different creatures and among these are the “Ikkis”. The Ikkis are an ape-like creature that collect “Seeds”. Your journey as a member (or Ikki) starts by exploring different villages around the island and by doing this you earn “Seeds” which will take you further on your exploration on the island of Ikibu. For your efforts and bravery you will receive a lot of casino rewards like free spins and other bonuses. This is a fun and interesting online casino theme and you will be able to follow your progress on a map. Ikibu Casino accepts all of the most commonly used payment methods. These include Visa, Mastercard, Maestro, Moneybookers Skrill, Neteller, Trustly, Euteller, Bank Transfer, PaySafe, Ecopayz, Zimpler and Sofort. All transactions are processed in a safe environment, secured by the most sophisticated encryption technology. Ikibu Casino also secure all player funds in a segregated bank account. Let’s face it; the collection of online video slots at Ikibu Casino is massive. The whole games portfolio, including all types of games, is over 1000 casino games and the majority of these are video slots provided by the market leading games producers like NetEnt, Microgaming, Play n’GO, Betsoft, NYX Gaming, Scientific Games and Quickspin. The most popular video slots at Ikibu Casino are Motörhead, Poltava Flames of War, Dead or Alive, Secrets of Atlantis, Grim Muerto, Fiesta Cubana and Jungle Jim El Dorado. American Samoa, Guam, Marshall Islands, Northern Mariana Islands, Puerto Rico, and Virgin Islands), France, Estonia, Belgium, Spain, Italy, Ireland, South Africa, Denmark, Turkey, Hong Kong, Afghanistan, Ethiopia, Iran, Iraq, Jordan, Kuwait, Pakistan, Syria, Nigeria, Singapore, Romania, Bulgaria, Portugal, Philippines, Israel, India and Yemen. Got 1300 seeds on registration which I kept and made a €30 deposit. Got 100% match deposit bonus + 2500 seeds. Traded 3800 into 100 free spins on starburst! Started playing Warlords and managed to win over €600. So far I like this casino!